Happy Wednesday Friends!! This is Heather with my First RRR post!! 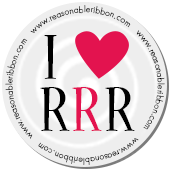 I am so excited to be joining the talented Design Team here at Really Reasonable Ribbon! I created the ornament using a collage sheet I designed for Gecko Galz. Below you will see where I trimmed the leaves to give them more of a "holly leaf" appearance. I also used the Candi Fix Foam Pads to add some dimension to my ornament. bonnie, great choice having heather on your DT. She truly is an inspiration to all of us with her creativity.... great video!!! This is so pretty. I especially love the image of the children in the middle. It has a very rich feel. Love it! Very Pretty! You know that will look great hanging from my tree : )just kidding. No really. Huggs from your BFF!